As the state association for all nonprofits, Washington Nonprofits makes sure nonprofits have what they need to succeed through learning, advocacy, and collaboration. We envision a strong, united nonprofit sector that is a valued partner in creating thriving communities across Washington. 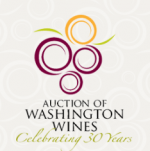 The Auction of Washington Wines is Washington State’s only non-profit wine event that has been around for 30 years. We are ranked in the Top 5 U.S. Charity Auctions*, and have raised over $37 million since our inception in 1988. Our focus is on elevating the awareness of Washington State wines through a series of events over a weekend in August. Proceeds benefit the wine industry and local community. Cascade Valley Wine Country begins in the north at Lake Chelan, the longest lake in Washington and travels through Wenatchee, “Apple Capital of the World”, and winds up in the west at the charming Bavarian village of Leavenworth, where the “Willkommen!” sign is always up. The region’s terrain varies from mountains to valleys and forests, providing a world-class wine growing region with endless opportunities for scenic vistas and outdoor adventure. Less than 60 miles east of Portland, America’s most unique AVA features wild beauty, traffic free touring and relaxed tasting rooms. With an amazing diversity of grapes grown from Albariño to Zinfandel, come discover our “World of Wine in 40 miles” for yourself. The Oregon Winegrowers Association advances and protects the investments of its members. Harnessing the power of state-wide consensus, the OWA stands as a vital advocate for the health, growth and economic sustainability of Oregon’s wine grape growing and wine production community. The OWA is the only statewide organization speaking on behalf of Oregon’s vineyards and wineries to decision-makers in Salem and Washington, D.C. to ensure the community’s continued success. The OWA is funded through voluntary membership dues and provides legislative and regulatory advocacy, legal guidance, regulatory compliance updates and cost saving solutions to its members. Enhancing the industry for growers, vintners, partners and policymakers. Advocacy – Promote an environment beneficial to our members and the broader industry. Education – Create pathways for growers and vintners to optimize their business through knowledge and understanding. c. Generate ways for members to effectively communicate issues. Governed by a board of nine directors, elected by peers to three-year terms, the organization is funded by membership dues and proceeds from the annual convention and trade show held each February, as well as other educational events throughout the year. Located in the southern center of the state, just across the spectacular Cascade Mountains from the metropolitan areas of Seattle and Portland, this magnificent Valley is home to more than 40 wineries and over one third of the state’s vineyards. The region boasts of over 11,000 acres of premium wine grapes. The foothills of the Cascade Mountains form the western boundary of the appellation with the area extending east to the Kiona Hills near Richland. Its northern border follows the crest of the Rattlesnake Hills and the southern edge traces the 1000-foot contour line along the Horse Heaven Hills to the Toppenish Ridge. Interstate 82 forms a convenient route for visitors to tour the many wineries scattered throughout the Valley’s landscape, which offers a rich diversity of microclimates, rugged hillsides, and wetlands. The sunny slopes of the Yakima Valley foothills provide the perfect growing conditions for producing intensely flavored, balanced and complex wines such as Merlot, Cabernet Sauvignon, Chardonnay, Riesling, and Syrah. Long sun-drenched days and cool evenings in this desert climate yield bold, hearty, and luscious world-class wines.